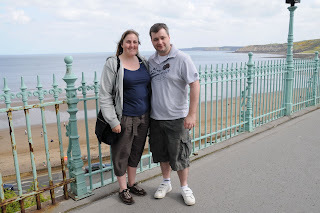 In this post I mentioned our visit geocaching in Scarborough. At this cache we met fellow geocachers The Bignall Boppers. They were lovely and took this nice picture of us.